Renowned international scientists have presented first-level research results on the intersection of embedded systems and wireless networks at the EWSN 2018 conference. The international event covered a wide range of topics going from energy constrained applications, security, emerging networking paradigms and protocols to distributed computing and cyber physical systems. Special emphasis was put on the reduction of the carbon footprint that the increasing use of ICT technologies imposes on the planet. The main mission of the EWSN 2018 conference, successfully celebrated last February in Madrid, was to create an excellent technical program focused on "sustainable embedded wireless systems", covering emerging areas and presenting, in addition to scientific articles, demos showcasing prototypes, tools and systems capable of operating in the real world. Research in this area is important for technologies such as the internet of things and cyber-physical systems, as well as application domains such as smart production, smart cities and connected cars. EWSN, a highly specialized and selective single-track international conference, was attended by more than 120 participants, including keynote speaker Prof. Suman Banerjee of the University of Wisconsin-Madison (USA), recognized worldwide for his work on wireless and mobile network systems. EWSN has been hosted by University Carlos III (UC3M) with IMDEA Networks Institute leading the organizational effort. Of the fifty-three papers submitted before the technical program committee, sixteen were the articles selected for the final program after a rigorous review process. Prizes were awarded during the &laquodependability competition» in which nine international teams from industry and academia competed to demonstrate the most reliable network solution, with the lowest latency and the most efficient at reducing energy costs. Likewise, prizes were awarded to the best paper and to the best demo. Domenico Giustiniano, a research associate professor at IMDEA Networks Institute in Madrid (Spain), has chaired the conference along with Dimitrios Koutsonikolas, an associate professor in the Department of Computer Science and Engineering at the University at Buffalo (USA). "Embedded systems and wireless networking play a key role in so many technologies that are shaping our future," they have said in a joint statement. Thus, work areas during EWSN have tackled a variety of areas such improving reliability and security of internet of things devices, backscatter communication, crosstalk-based communication, power distribution monitoring, and energy-efficient wireless networking technologies and architectures. 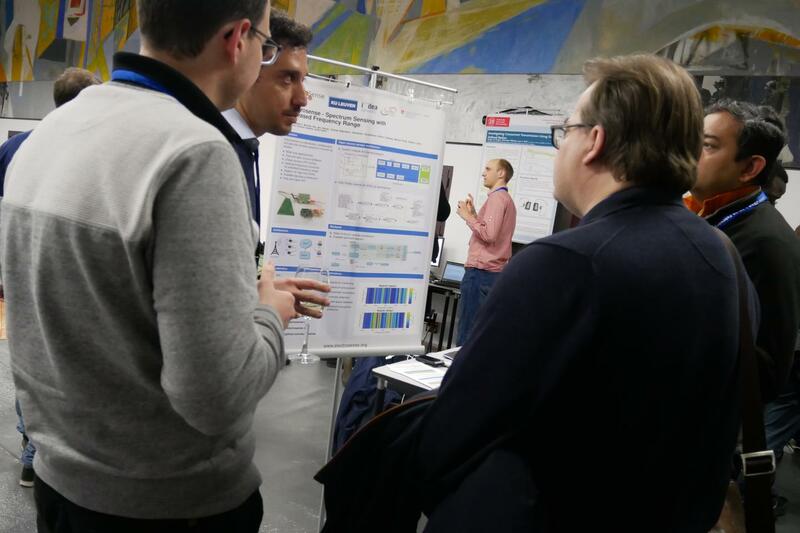 Proposals about the use of embedded wireless systems to increase the energy-efficiency of smart homes, smart buildings and smart cities have also been discussed during the three-day event. The conference has also included two workshops (RED-IoT and MadCom) and an industrial panel of renowned experts on test-beds and trials for 5G network deployments. The EWSN conference was established in 2004 as the premier European Conference on Wireless Sensor Networks and since 2016 it has been held in cooperation with ACM SIGBED. The next edition awaits us in Beijing, China, on February 25-27, 2019.